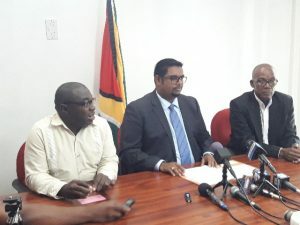 However, he provided few details including whether he used a suspicious paper from a virtually unheard of West Coast Demerara institution to register for his first Master’s Degree in India. He was asked specifically to state the baseline qualification he had used to pursue that degree. A Presiding Officer, Onika Beckles, was forced to call in the police at an Aubrey Barker Road Polling Station after she was admittedly shoved against a wall by People’s Progressive Party Civic (PPP/C) Candidate Odinga Lumumba who also verbally abused the young woman. Lumumba also grabbed the camera phone from an Election Assistance Bureau (EAB) observer who began recording the altercation and threw it to the floor destroying it in the process.